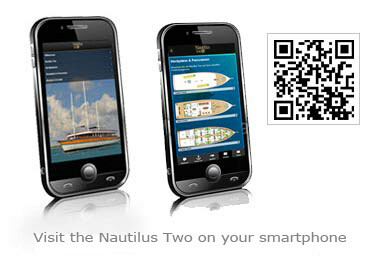 The "Nautilus Two" at 43m in length is more than just a safari boat. 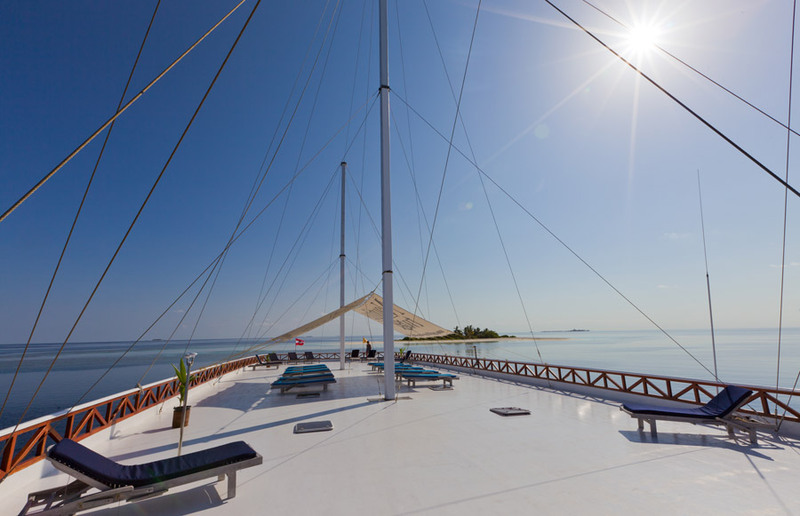 Made entirely of wood and built in traditional Maldivian boat construction, the ship is not only a delight for the eye: A great deal of room, beautiful workmanship and state-of-the-art equipment show that one must by no means do without luxury on an adventure ship. In 12 spacious, modern guest cabins there is room for 24 people to have more than comfortable accommodation. 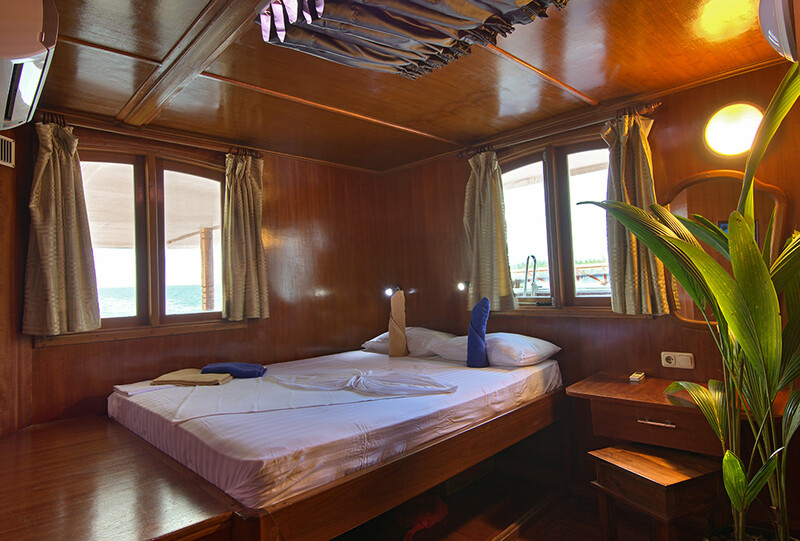 Every cabin has a king-size double bed, a single bed, a desk, a large cupboard with sufficient storage space and air conditioning. The en suite bath has a sink, WC and shower massage cabin. 230V power supply for European outlets is available round the clock. Two water processing systems supply the ship with sufficient drinking water. Our bartender in the 120m² salon awaits you with a cool draught beer, cocktails, soft drinks of fresh fruit juices. 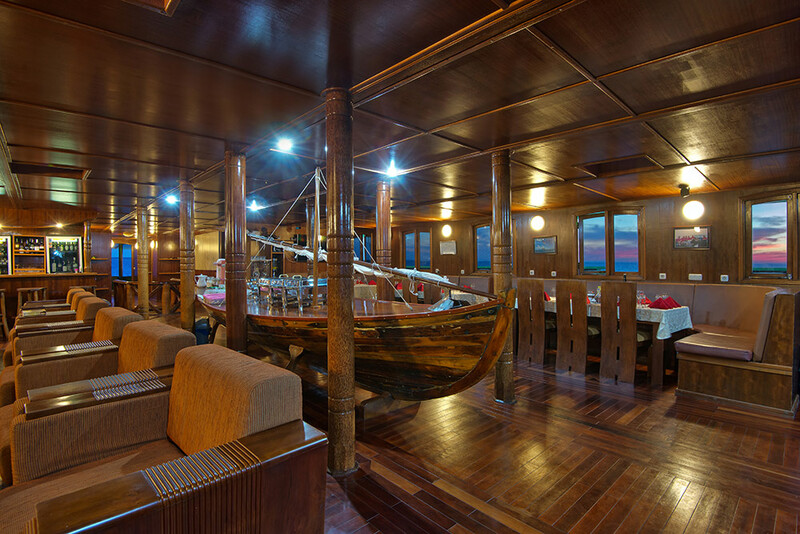 An old fishing dhoni in the lounge serves to partition the room, where you will find the restaurant area portside and the lounge area filled with rattan furniture on the starboard side as well as the bar counter.The restaurant is on the port side and the lounge area with rattan furniture and the bar on the starboard side. 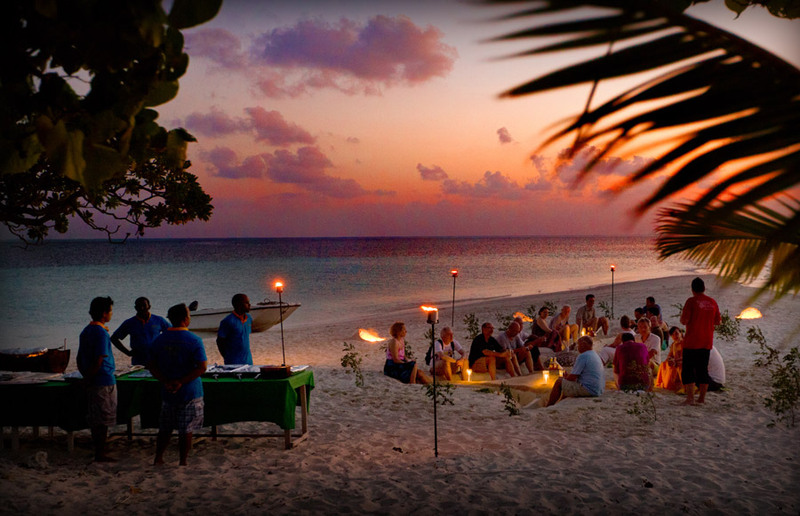 Our chef will cook a wide variety of dishes for you from local specialties to European cuisine. Naturally any fish you’ve caught will also be prepared corresponding to your requests. You will find the matching wine on our wine list. 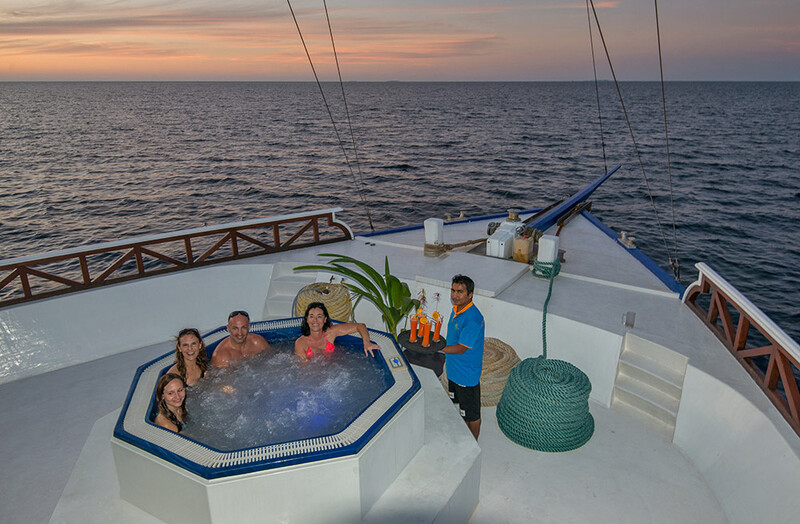 Stock up on pure sunshine on the gigantic sundeck, relax in the whirlpool or stretch out on a comfy lounge chair in the shade, while the Nautilus Two brings you to the next destination on your Maldives adventure. Nobody knows the way to the most beautiful reefs and the best dive sites better than our professional dive guides and our experienced crew of our Dhoni Dheriyaa. On the spacious boat you can easily prepare yourself for your next dive. Our dive guide accompanies you during the dive and leads you to the best spots. 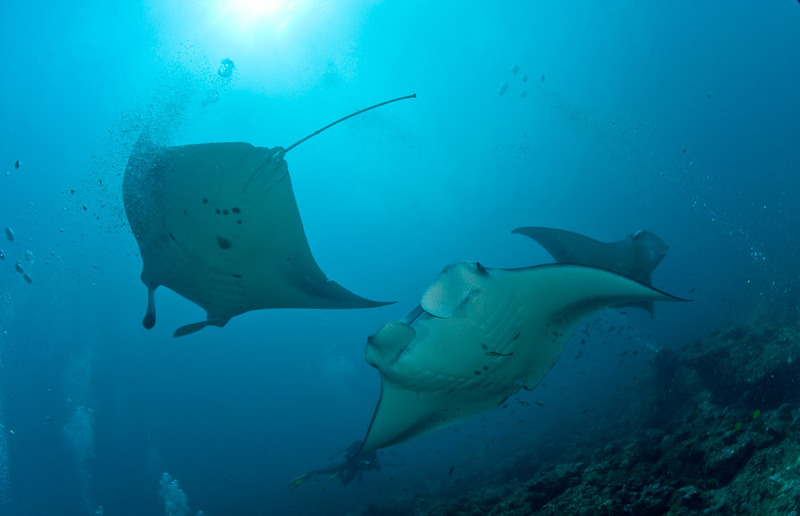 So you can fully savor the magnificent underwater world of the Maldives! The Dhoni remains on all dives always nearby and takes you after surfacing again. Your diving equipment remains safely stowed during the whole dive safari on the Dhoni. For the diving equipment a plastic box is available for each diver.